This factsheet is for people who are having a spinal injection such as an epidural, nerve root block, median branch block or a facet joint injection for chronic back pain, or who would like information about it. Spinal injections are used to deliver a combination of local anaesthetic and steroid into or near the spine to ease back pain and improve function, and sometimes to help identify the source of back pain by numbing certain areas. You will meet the doctor carrying out your procedure to discuss your care. It may differ from what is described here, as it will be designed to meet your individual needs. Injections into or near the spine help deliver pain-reducing medicines directly to the source of pain and are usually recommended for relief of back pain or sciatica (shooting pain down one or both of your legs). The effects of a successful spinal injection can last from a few weeks to several months. Epidural and facet joint injections are usually done to help ease pain so you can progress with physiotherapy. Nerve root block injection is often done to identify the source of the pain so that your doctor can plan appropriate treatment. Median branch block or sacroiliac joint injection is used to identify painful joints before further treatment such as radiofrequency lesioning. This is when heat is used to destroy nerve endings. The type of spinal injection you have is based on your specific symptoms, the reason for the injection and the physical examination done by your doctor. There are other pain-relieving therapies which can help ease back pain such as pain-relieving medicines, TENS (transcutaneous electrical nerve stimulation), exercise, acupuncture, yoga and relaxation. Spinal injections are usually recommended only if you need the pain-free ‘window’ to progress with physical therapies or if your doctor needs to find the exact source of your back pain to plan appropriate treatment. 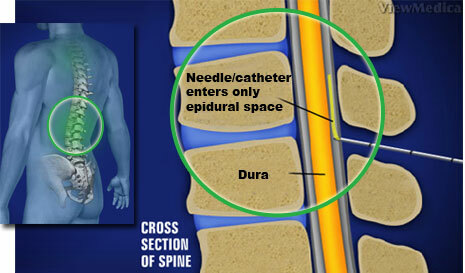 A spinal injection is an out-patient or day-case procedure usually done by a specialist doctor. Spinal injections are usually given under local anaesthesia. This completely blocks pain from the injection area and you will stay awake during the procedure. You may be offered a sedative to help you relax during the procedure. If you have a sedative, you will have very little memory of the procedure. To help guide the needle into the correct place, the procedure is usually done under X-ray guidance. If you are a woman of child-bearing age, you must tell your doctor if you could be pregnant. X-rays are safe for adults but may harm your developing baby. If you are pregnant your doctor will discuss alternatives to the procedure. You should take your usual pain relief medication on the day of your procedure. If you are unsure about taking your medication, please contact your doctor. Your doctor will discuss with you what will happen before, during and after your procedure, and any pain you might have. You can ask questions about the risks and benefits, and if there are any alternatives to the procedure. This will enable you to give your informed consent for the procedure to go ahead, which you may be asked to do by signing a consent form. The procedure usually takes 20 minutes. You may be asked to change into a hospital gown that opens at the back. You may be asked to lie face down on a table or on your side with your knees drawn up and chin tucked in. This position helps to open up the space between the bones in your back. If you are having a sedative, this is injected into a vein in the back of your hand. You will quickly feel relaxed and drowsy. A machine called a fluoroscope may be used which shows ‘live’ X-ray images during the procedure. The machine is positioned close to the area being injected. Your doctor will carefully select a point to inject by using X-rays and/or feeling for specific bones in the spine. The injection site is cleaned with a sterile antiseptic wipe and local anaesthetic is injected into your skin so that you don’t feel the needle going into your back. Your doctor will carefully insert a thin hollow needle into your back. You won’t feel the needle going in but once it has reached your spine, you may feel some discomfort. While the needle is being inserted, it’s important that you don’t move, as any movement makes positioning the needle more difficult. You must tell your doctor if you feel any pain or discomfort as this may indicate that the needle is going into the wrong area. Once the needle is in place, your doctor may inject a contrast agent (a liquid that shows up on X-rays). This is done to check that the needle is correctly positioned. 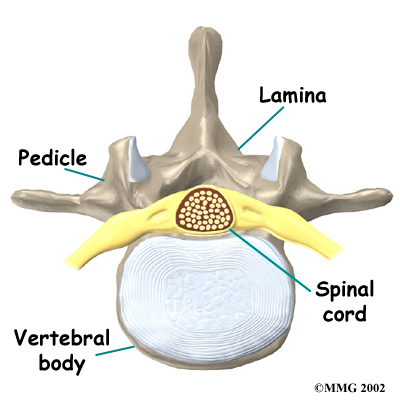 The local anaesthetic and steroids are then injected into the spine. Afterwards, the needle is taken out and the injection site is covered with a plaster. Your legs may feel numb or tingly but this will pass quickly. Your blood pressure will be monitored for about 30 minutes. You will be able to go home when you feel ready. You will need to arrange for someone to drive you home. You should try to have a friend or relative stay with you for the first 24 hours especially if you have had a sedative during the procedure. Your nurse will give you some advice about caring for your back. You will be given a date for a follow-up appointment. Sedatives temporarily affect your coordination and reasoning skills, so you must not drive, drink alcohol, operate machinery or sign legal documents for 24 hours afterwards. If you’re in any doubt about driving, please contact your motor insurer so that you’re aware of their recommendations, and always follow your doctor’s advice. The local anaesthetic will keep you pain-free for a while but it’s best to take things easy for the first 24 hours. After this, your back may start to feel sore again because the steroids take a few days to work. Your back pain and sciatica should start to improve within a few days of your injection. You should be able to start physiotherapy within a week of your injection. It’s important to remember spinal injections are not a cure for back pain and it’s the physical therapy that will help improve your medical condition in the long-term. Spinal injections for chronic back pain are commonly performed and generally safe. The exact risks are specific to you and will differ for every person. Ask your doctor to explain how these risks apply to you.